The portfolios managed by Bilsdale have a total sterling value approaching £300m and comprise more than 3.5 million sq ft of retail, office and industrial/warehouse space – all generating a rent roll of more than £20m each year. Additions to the portfolio are made by direct development, pre-funding of developments carried out by third parties and by the purchase of standing investments. The marketing of new and vacant property is expertly controlled internally, using the services of experienced marketing agents most appropriate to each particular site or project. Bilsdale offers a total property asset management service, including property purchase, development, marketing, maintenance, rent collection and sales. 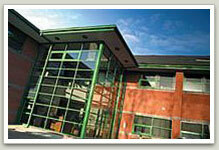 Occupiers also benefit from Bilsdale's high level attention and customer care. To find out more, please go to our 'Contact Us' page.